Valve, the game-development studio behind the Half-Life series and the Steam video game marketplace, released the public beta version of its new Linux-based SteamOS on Friday. You can install it right now, provided you have a spare hard drive lying around and are unafraid of beta Linux distributions. Oh, and you're running an NVIDIA graphics card. SteamOS is Valve’s new games-first operating system, primarily created for the company’s upcoming Steam Machine hardware—a line of gaming PCs tailored to fit in people’s living rooms. Popular conceptions of PC gaming hold it as more expensive and difficult to set up than standalone games consoles—a stigma Valve hopes to banish by emulating a console-like experience. Should you choose to install the SteamOS beta, we recommend using a new hard drive so you don’t have to worry about partitioning your current one (and remember, always back up your files). What are the benefits? Price, for one. SteamOS is free for both users and manufacturers. Valve has professed a commitment to openness and accessibility, in light of managing director Gabe Newell’s distaste for Windows 8. Valve also claims “significant performance increases in graphics processing” when running SteamOS. The fledgling operating system, however, still has some big unknowns. Most worrisome is the tasty Linux core at the heart of SteamOS. While Linux gaming has made significant strides in recent years, developers still predominantly focus on Windows—it’s the largest market, by far. Only a subset of games on the Steam service will run natively on Linux. Rather than emulate Windows or wrap the game executables, Valve hopes to solve this problem in SteamOS with home streaming—if you own a powerful Windows machine, you can stream game data over your home network and play it on your living room’s SteamOS-enabled system. Of course, this requires owning two computers. Also, until we’ve tried it for ourselves there’s no telling how much lag is introduced in the process—and no telling how much Valve can improve the software side of things before an official SteamOS 1.0 release. Unfortunately, home streaming didn't make it into this release of SteamOS so you're limited to Linux-native games at the moment. For now, SteamOS is best saved for the adventurous. Valve warned Wednesday that “unless you’re an intrepid Linux hacker already, we’re going to recommend that you wait until later in 2014 to try it out,” and indeed the installation tips listed in Valve's FAQ require a bit of technical savvy. 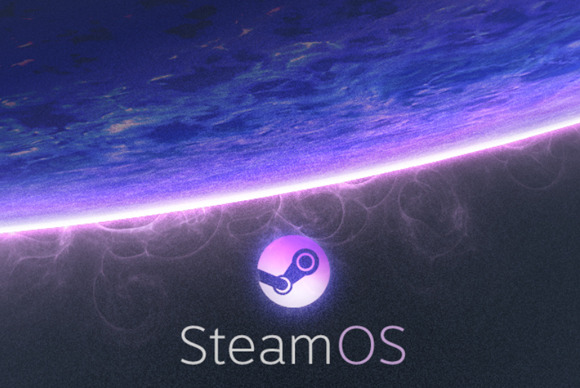 If you just can't wait, however, you can snag SteamOS for yourself here. The full installer totals 960MB of files (though there's also a 2.4GB system restore).